I don’t normally talk about a company’s solicits. I guess it would be easy. I could stretch it into a couple posts if I did a separate one for each of the big companies. Normally that doesn’t feel right to me though. 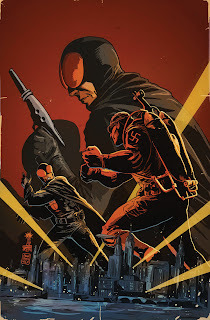 I generally want to talk a little more about things then, “hey this is coming out.” I’m very excited to talk about one of Dark Horse’s April releases, but as I looked over the other solicits I wanted to talk about them also. Here is the big one. 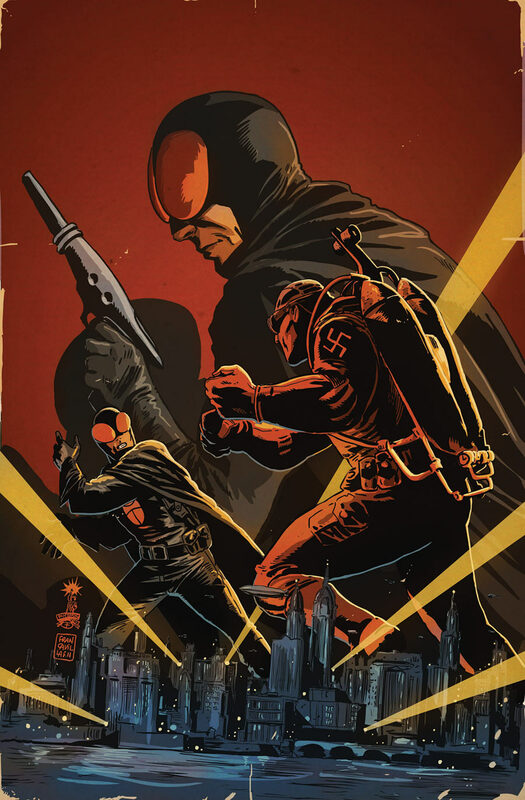 Dark Horse Presents #11 is the debut of Francesco Francavilla’s Black Beetle. Black Beetle is a character that Francesco created on his own blog, Pulp Sunday. Since this seems to be a big year for the Black Beetle Francesco has also created a blog specifically for the Black Beetle. Trust me; this is a book you’re going to want to read. Besides being one of the nicest people on the planet Francesco is such an amazing storyteller. This is very big stuff and we will be talking about it more in the future. There is also a Criminal Macabre one shot out in April. 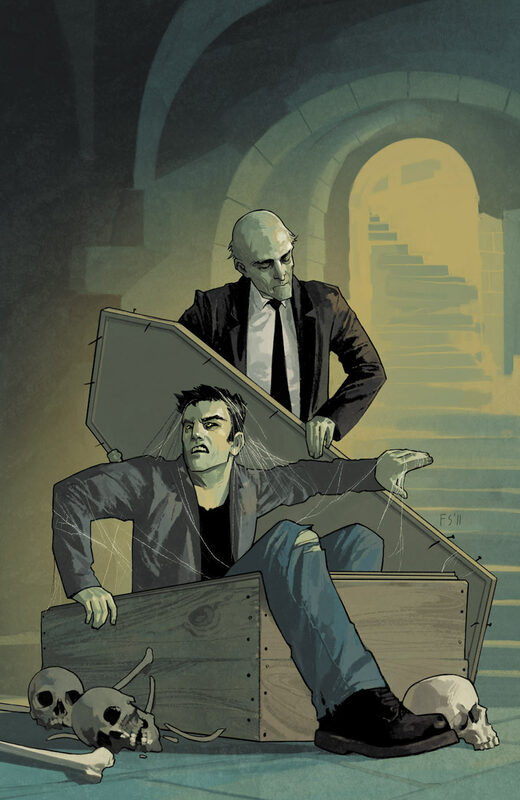 We love Steve Niles at That F’ing Monkey and we especially love his pill popping detective. Anything Cal McDonald is an instant buy for me. I’m pointing this one out because of that amazing Fiona Staples cover. I love it. The last thing I feel like I need to mention is that the Mass Effect line is starting a series of single issue stories. 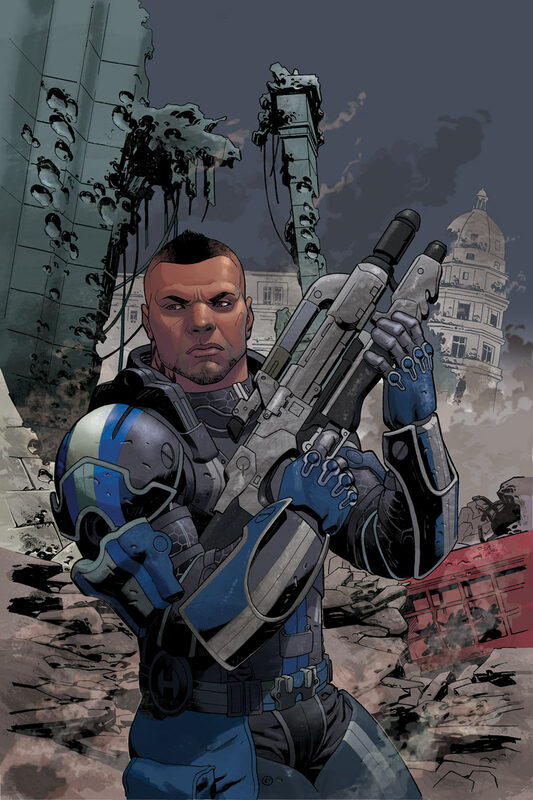 The first is starring James Vega. This is the strangest choice ever. The internet is already pretty much against this douche-y looking new character. The bonus is that the writer of each comic will be the person who wrote the character in game. I look forward to seeing who else gets a one-shot.